GEOCONSULT LTD – Geoconsult Ltd joins research project! During May 2016 the research group of University of Michigan (Ann Arbor) under the guidance of Professors Dimitrios Zekkos and Adda Athanasopoulos-Zekkos, performed dynamic penetrometer tests and shear wave velocity measurements at the ports of Lixouri and Argostoli in Cephalonia. Cephalonia island was devastated by two earthquakes on January 26th and February 2nd 2014. The measurements were performed as part of a research project for the assessment of liquefaction susceptibility of coarse grained deposits through a special type of dynamic penetrometer test. 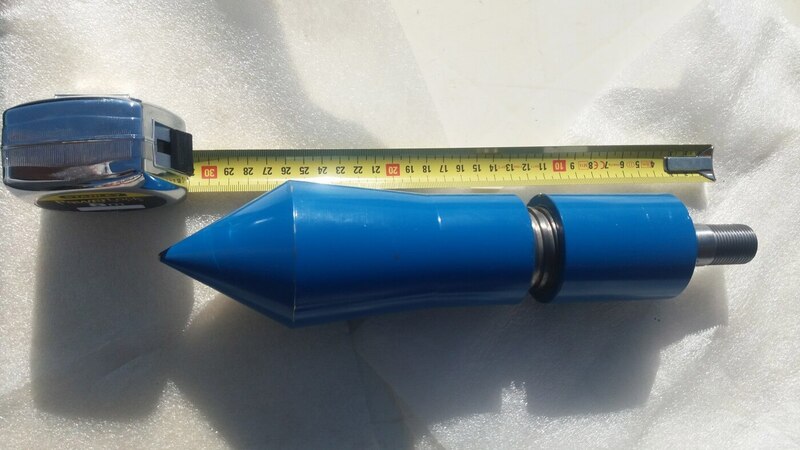 More specifically, DPSH (Dynamic Penetration Super Heavy) type dynamic penetrometer tests were carried out, using a special large diameter cone (Chinese cone – Ø74 mm see photo). The execution of the dynamic penetrometer tests was handled by GEOCONSULT Ltd, which in the past also carried out the pertinent geotechnical investigations in the two port facilities (Lixouri, March 2014 and Argostoli, February 2016), as part of the restoration project of the earthquake-induced damage. The penetrometer tests were carried out with the company-owned self-propelled, self-anchoring tracked, heavy duty penetrometer (20 ton capacity) (see pictures below). The cone which was used for the penetrometer tests (Chinese cone) was provided by the research group and more specifically Professor Kyle Rollins of Brigham Young University in Utah, U.S.A. In parallel, energy measurements (PDA) were performed by Jim Higbee of Utah Department of Transportation, U.S.A., so that the corrected SPT blow count corresponding to the theoretical impact energy is specified. The research team was very satisfied with the quality of the measurements and is currently processing the obtained test results.